How large was Smith Wigglworth’s Faith? 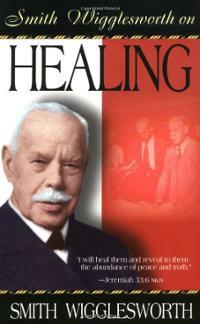 This is a short testimony of Smith Wigglesworth’s faith in action. I firmly believe as Christians, if we only dare to remove the barriers to what God can do through us when we have faith, we’ll begin to see greater miracles just like this testimony about old Smith. God bless him for his witness!!! Wigglesworth lifted his heart to God. Faith flowed in, and he stretched out his hand over the field in the name of Jesus. The field was completely cleansed of blight and the entire crop was saved. In fact, that was the best crop his friend had ever had from any field! * These Quotes provided onMay 7, 2013 — By Craig Owens Blog – Thanks Craig! 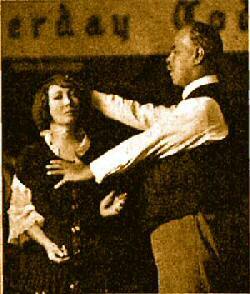 Smith Wigglesworth: Can God “tame us” us from the inside out? Can God “tame us” us from the inside out? See what old Smith Wigglesworth had to say in his testimonies about the sermon Jesus taught “Blessed are the Meek”! “Blessed are the meek: for they shall inherit the earth.” Moses was headstrong in his zeal for his own people, and it resulted in his killing a man. His heart was right in his desire to correct things, but he was working on natural lines, and when we work on natural lines we always fail. Moses had a mighty passion, and that is one of the best things in the world when God has control and it becomes a passion for souls to be born again; but apart from God it is one of the worst things. Paul had it to a tremendous extent, and, breathing out threatening, he was hailing men and women to prison. But God changed it, and later we find him wishing himself accursed from Christ for the sake of his brethren, his kinsmen according to the flesh. God took the headstrong Moses and molded him into the meekest of men. He took the fiery Saul of Tarsus and made him the foremost exponent of grace. Oh, brothers, God can transform you in like manner, and plant in you a divine meekness and every other thing that you lack. In our Sunday school we had a boy with red hair. His head was as red as fire and so was his temper. He was such a trial. He kicked his teachers and the superintendent. He was simply uncontrollable. The teachers had a meeting in which they discussed the matter of expelling him. They thought that God might undertake for that boy and so they decided to give him another chance. One day he had to be turned out, and he broke all the windows of the mission. He was worse outside than in. Some time later we had a ten-days revival meeting. There was nothing much doing in that meeting and people thought it a waste of time, but there was one result–the redheaded lad got saved. After he was saved, the difficulty was to get rid of him at our house. He would be there until midnight crying to God to make him pliable and use him for His glory. God delivered the lad from his temper and made him one of the meekest, most beautiful boys you ever saw. For twenty years he has been a mighty missionary in China. God takes us just as we are and transforms us by His power. Read with Smith Wigglesworth had to say about the difference between mourning through our feelings (our flesh) and travailing in the Spirit.